When Justify steps into the starting gates of the 143rd Preakness Stakes at Baltimore's Pimlico Race Course on May 19, the 3-year-old colt will try to become the 53rd horse to win the two out of the three legs of the Triple Crown of Thoroughbred Racing. 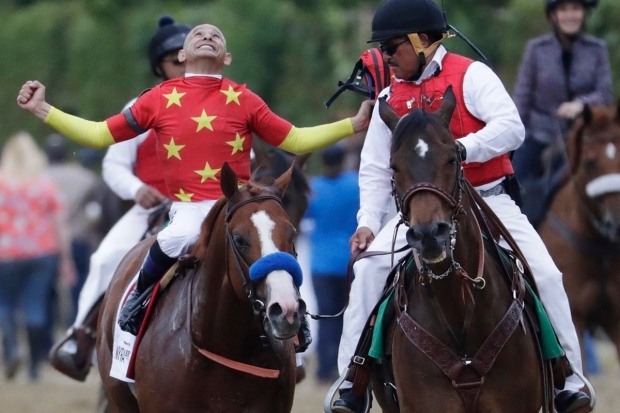 Justify, who won the Kentucky Derby on May 5, is an early favorite for the Preakness, but the favorite wins only about half the time. He'll be running against a mostly fresh field of horses, as most of those he beat at Churchill Downs are planning to sit out the Triple Crown's "middle jewel." Here's a quick look at the challenges ahead of Justify, and the rich history behind the race known as the "Run for the Black-Eyed Susans." Oct. 25, 1870: The date Pimlico Race Course opened. It is the second oldest track in the country, behind Saratoga. May 23, 1873: The date of the first Preakness. $2,050: The size of the winning purse at the first Preakness. 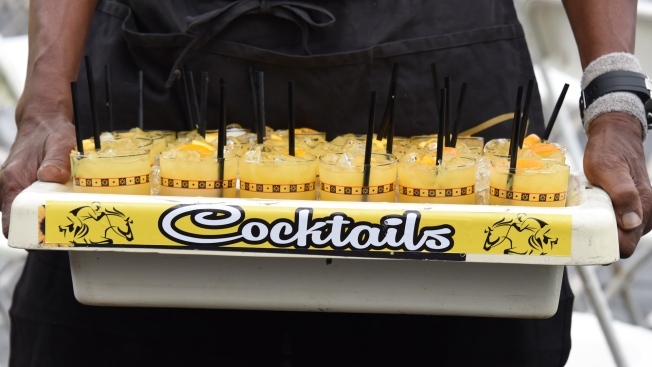 $1.5 million: The Preakness' current purse. 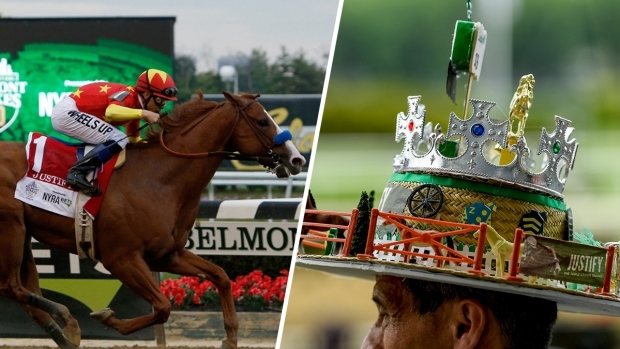 1 3/16 miles: Length of the Preakness track, 1/16th of a mile shorter than the Kentucky Derby. $4 million: The assessed value of the Woodlawn Vase, presented each year to the Preakness winner. No one takes the ornate Tiffany & Co.-designed trophy with them, however, because it's too valuable to be touched. Winners receive replicas instead. 18 inches by 90 inches: The size of the blanket, made of Black-Eyed Susan daisies, draped on the shoulders of the Preakness winner. The race occurs before the official race flower typicaly blooms, so the blanket's creators use black lacquer to improve its appearance. 140,327: The highest Preakness attendance on record, in 2016. 1 minute, 53 seconds: The record Preakness time, set by Secretariat in 1973. 11 1/2: Largest margin of victory, in lengths, in the Preakness, a record set in 2004 by Smarty Jones. 6: Best Preakness finish by a female jockey (Patricia Cooksey on Tajawa in 1985). 1898: The last time an African-American jockey won the Preakness. 5: The number of fillies that have won the Preakness. 14: Number of positions available in the 2018 Preakness. 6: The number of Preakness wins for trainer Bob Baffert, who would tie the 7-win record this year if his Derby-winner Justify takes the second leg of the Triple Crown. Jon Schuppe contributed to this report.